The Ohaus CD Industrial Indicator (CD11) is the shape of things to come! 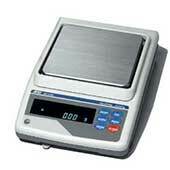 The Part Number CD-11 offers functions like basic weighing and parts counting. Smart software and hardware are enclosed in a sharp contemporary housing. Designed to support up to four analog load cells in industrial and laboratory applications. 1. WHY ARE THE SCALES AND BALANCES SO IMPORTANT? The scales, balances and load cells are essential for ensuring the accuracy of measurements, especially for companies working in production and industrial areas. 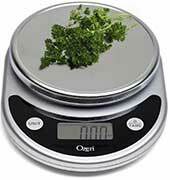 However, scales and balances are used in many other industries, but also by householders and individuals. The scales and balances are used to measure the mass weigh or weight in consumption of water, electrical energy, but also for measuring the weigh of physical objects. In order to keep the same units all over the world, so confusions wonâ€™t be made, international measurements were introduced, and the scales and balances made today must keep count of those matters. 2. WHO CREATE THE WEIGHING INTERNATIONAL STANDARDS? The international standards for scales, balances and load cell are made by organizations such OIML, NTEP, NIST and ASTM.. Those standards must be made in the area of weigh and mass measuring instruments, but also for control devices for mass, weigh, water, gas, electricity and heat. Once those standards are imposed, the companies producing such instruments must comply with those, and only the best companies are able to do so. It is a pity that so many consumers and buyers of scales, balances and load cell donâ€™t actually check if they buy approved and tested precision weighing balance and scales devices, and this could lead to disastrous effects on the long term. 3.WHAT IS PRODUCT PREPACKING AND WHY SCALES AND BALANCES ARE SO IMPORTANT FOR THIS? Product pre-packing represents the process of weighing, wrapping and packing materials before those are labeled. The weight content of packages must be measured, in order to determine the quantity of product inside in pounds (lb), kilograms (kg), grams (gr), Ounces (oz) etc. Here, the scales market metrology has an important role. This science allows the producers and authorities to verify the dimensions and weight of all the pre-packed products, and to verify the dimensions of those products using precise scales and balances in the market. For example, detergents, food for pets, ice cream, pharmaceutical products, textile products, beverage market industry, concrete and cement, jewelry like gold, silver, diamonds, animal and cattle farm market production, steel production, chemical products, pharmacy scales, load cell manufacturing, retail industry like super markets, medical applications, frozen aliments, transportation and any other retail product must be verified. The scales, balances and load cell are important especially in Europe and United States of America, where alcohol and wine is the subject of regulations and special taxes. The quantities must be verified precisely, so the authorities could establish what taxes should be paid by the producers of those market products and services. 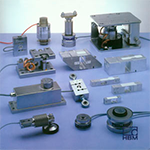 The modular weights measurements elements are at the base of automated testing systems. With the help of modular instruments, the engineers can choose a large variety of measuring instruments and data. Moreover, the weighted dimensions must be ready to be transferred in computer programs, where they can be used for multiple purposes. As the respective instruments are modular and defined with the program, they can be changed at any time and redefined whenever the user needs those. This is why modular scale, balances and load cell respond to the dynamic and testing needs of clients. The virtual measuring instruments can be used for high-speed test, in a virtual environment that depends only of the limits of the computers technology. The oscilloscopes are used in high precision scale, balances and load cell with a high resolution and precision, which can be modified to meet the demands of clients. Besides those, there are also the signal generators that must be measured from many points of view. As the owner of a production company, you will have to make sure that you are using high precision instruments that would allow you to avoid severe mistakes. 5. WHICH SCALE AND BALANCES BRANDS DO SCALEMARKET BUY AND SALE? Scalemarket as an international wholesale dealer, have many major scales balances and load cells brands available for immediately delivery, as BuyCardinal scales, Detecto scales, Buy AND weighing balances, Ohaus balance, Buy Sartorius analytical and precision balances, Buy Fairbanks scales, Accuweigh scale, Buy Mettler Toledo weighing products, GSE scales, weightronix Agroindustrial weighing products, Buy Sentronik crane scale, Buy Adam floor scales, Buy Chatillon scales, Cas scale, Buy Dillon Dynamometers, Ametek, Buy Health O meter, Rice Lake, Buy Weighing Systems scales and balances, Seca medical scale, Buy Salter brecknell scale, Torbal pharmacy balances and Torrey price computing scale. By its great variety and high quality in every product, ScaleMarket is considered the "Universe of the scale, Balances and Load Cells". On this site you will find a host of products with attractive features, where you can serve is to choose which satisfaction will give you, always adjusted to suit your need when weighing. On our site, you also will have great professionals of long experience in the world of different weighing systems, so that you feel the confidence to make the best decision when buying load cells, scale or balances, either to build a complex weighing system for the simplest. 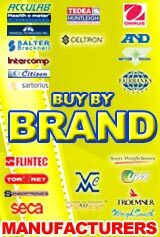 We have extensive catalog of products, which are distinguished by the quality hallmark of Scalemarket, which insurance will contribute in business or commercial development which, as every entrepreneur, you are looking for. Our weighing systems aim to simplify your day to day activities, providing precision at every reading of quantity. All our products are tested previously, with the firm intention to ensure all our users a high-quality product, thus diminishing the faults, which supplies optimization in your valuable time. Do not wait any more, if you do not find the solution, we came up with it! A smart shopper, will know that This shop has the best market prices. The Graham dynamometer instrument was invented by Englishman George Graham (1674-1751) and later improved by fellow Londoner John Desaguliers (1683-1744), the Graham- desaguliers dynamometer was designed to determine maximum force. Dynamometers play an extremely important role in many types of industries of modern time. This is because handling heavy equipment and machines requires estimating the cost of power for working plants as well as an accurate knowledge of the amount of power absorbed by the different machines. This is not only essential, but a requirement to sustain a high level of efficiency. Sentronik has recently redesigned their hanging, dynamometer and crane scales through the use of new material and tension load cells. These new balances have been designed to make weighing operations that require heavy duty scales that perform at their max. The new load cells are especially designed for tension operations that go up to 20,000kg. SENTRONIK CS SERIES - These light and compact hanging scales are extremely light as they are aluminum case enclosed. They have a rechargeable battery that can go up to 100 hours. It has LCD display, and can operate in KG/LB. The extra features include Hold switch button and Auto shutdown function when low voltage for added durability. SENTRONIK HS-1500 SERIES - The HS series is made of semi heavy duty alloy steel, which makes it extremely versatile. The LED Display gives it added visibility for distances; it can weigh up to 1000kg, and can be operated in KG/LB. The rechargeable battery can go up to 80 hours. The scale can be operated through remote control or keypad control. Additional features include Tare In / Tare Out, Idle mode to maximize the battery life, and Auto overload alarm at 100%F.S. +9e for added safety. SENTRONIK SE-5200 - This is the ultimate mega duty scale of the year, with capacities ranging up to 20T, this super balance will be equipped for any job. The super strength tension alloy load cell is compact and the scale enclosure is made from durable and highly resistant steel which can be operated in most environments. The Large LED display gives added visibility for distances and heights. This type of dynamometer is ideal for testing purposes and for moving heavy materials. It can be operated and calibrated through remote control functions. It includes rotatable hook for added convenience and operational ease. The new SENTRONIK Hanging scale series have been designed for all you tension operations making it simple, and easy for you to work, and giving you ease of mind that your operation will be carried out efficiently, and with the highest level of safety. Scale market and balances Large warehouse inventory of load cells: From laboratory balances up to truck and hopper electronic digital scales. Lakefront Business Center 7825 NW 29 Street #137 Miami, FL 33122 U.S.A.